Check out our reviews from our many happy customers below. Click a title to see more information about the project! Michael and Ashley have been great, from the professional quote to sweeping and cleaning up to finish. 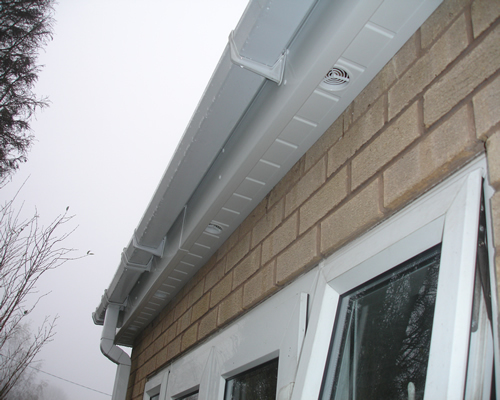 We have had new gutters, fascias and downpipes, and a new flat roof. At each stage, they have explained what will be done, and invited me to inspect upon completion. 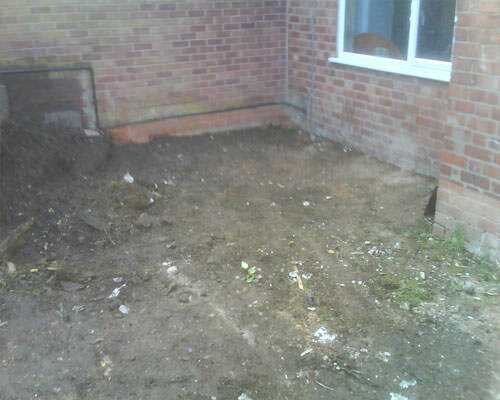 They have cleaned up each area where they have workedin and left the site clean and tidy. They even did a little extra piece of work free of charge! They are two genuinely very nice chaps. Thank you. Overall, we’re very happy with the finished product and would recommend Michael and Ashley to anyone looking for home improvements. We’ve just had nearly the whole house re-glazed by this company, and I would recommend them very highly. Right from the quoting stage all the way through they have been friendly and helpful, with no high pressure salesmanship whatsoever. What I really liked was the organisation: the people who did the quote were the same people who actually came to fit the windows, so there’s no chance of any mistakes or disagreements. Their workmanship is outstanding, and they have even done some extra rendering that wasn’t part of the job. All in all, a thoroughly professional team, who I will be definitely using again the next time I need some work doing. Highly recommend M & A – Michael and Ashley are two competent dudes! 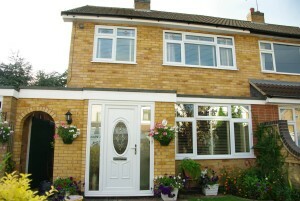 Our composite doors look amazing and the windows are excellent. We didn’t even consider getting other quotes, after the first visit from M and A we felt confident that we would get a top quality job at a fair price. We asked Michael and Ashley to quote for a conservatory. 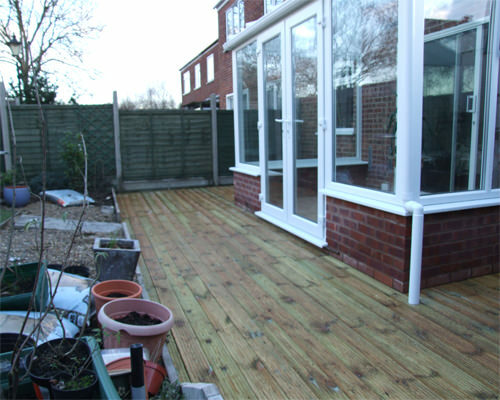 We chose them based on previous reviews they had on their own website and checkatrade. They showed us a few conservatory designs on a small laptop and we shared a few ideas. 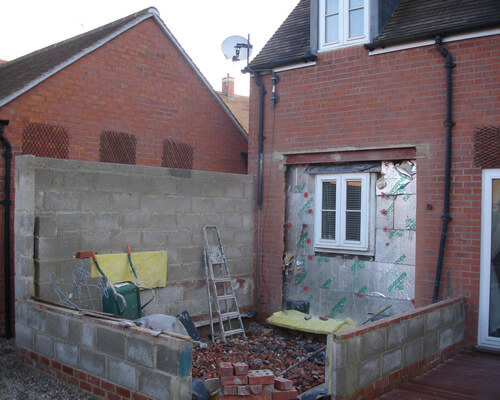 We received 3 quotes the following day by email, each quote showing a detailed plan with all the measurements and each design superimposed onto a photo of the rear of the house showing how it would look. A brilliant presentation. At no time were we pressured into making a decision. We chose Ashley and Michael to do the job as they also knew what they were talking about and offered a wealth of experience in that type of work. They gave us a start date and started on that date. They were very efficient, very tidy and very friendly, and did a great job. Would highly recommend M & A Home Improvements. Two great characters who work together in a very organised way. Plenty of knowledge about the work they carry out. Enjoy tackling awkward fitting situations. Plenty of suggestions but will always listen to customers requests. The years of different work situations have made them the best.On completion the site is left clean and tidy. They are reliably punctual but sometimes at the mercy of scaffolders who are renown for missing dates. Highly recommend these lads. Their quotation, in my case, fell in the mid-range which is where I always concentrate my attention and proved to match my own estimate. Cost,Quality and Labour all top rate. The failure of scaffolders to show up promptly has caused me a few problems, so be warned. We’ve just had Michael & Ashley to fit New French doors and new replacement windows along with all new facias,soffits and guttering,all in caramel. My wife and I thought service like this went out with the ark! The boys were very, very professional,very neat and tidy and the attention to detail was simply awesome. At every point along the way the boys kept us in the loop about everything. 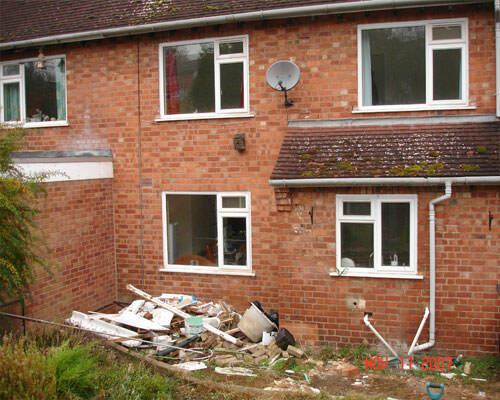 I spent many years in local authority service and dealt with many contractors and sub-contractors. These lads left them all standing. Nothing was too much trouble at any time of the day. On the Wednesday we had the hottest day in years with the daytime temperature in the high 80s. When another builder in our cul-de-sac went home complaining of the heat our two lads didn’t quit or complain. They just carried on and saw the job finished. My other half loved them,and the boys have been engaged to return in around a months time to fit a new front door and the rest of the windows we need replacing. 10/10 without doubt lads, you’re welcome back here anytime!!! We have had a new front door fitted. Great product and a really helpful and prompt service. Would recommend! Excellent service provided by Michael and Ashley. 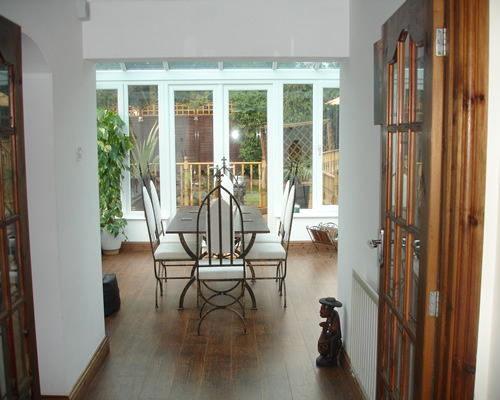 We had new patio doors installed and the work was outstanding and completed within 2 hours. Very satisfied and would highly recommend to others. Really great tradesmen. Very professional, honest and hardworking. The door was fitted to a very high standard and time was taken to show me all the locking features and aftercare. I can highly recommend M&A Home Improvements. C. Robinson Rugby Warks. Did the job when promised and without any hassle. Very polite and tidy and the end result is really good. Would recommend. M & A Improvements (Michael & Ashley) we found them through google and after meeting them and working with them over the 7 weeks build, all the reviews have proved to be true. As they said “what you see is what you get” they Planned, Managed and Controlled the project throughout working to very high standards. Even their sub-contractors work to the same exacting standards that they set. They deliver what they say in terms of Price, Quality and Workmanship without any hidden costs or surprises along the way, in some areas exceeding our expectations. We now have a great Orangery which we look forward to spending many “Happy Days” in this summer and many more in the years ahead. We would have no concerns with recommending M & A to any prospective customers. Thank you both, Martin & Liz. I picked this company for a quote for a door and 2 windows after searching reviews online. They came and showed us their products and promised us an email quote. There was absolutely no pressure to use them at all. We were very happy with the quote so decided to use them. They arrived when promised, were very professional and friendly and got on with the job which they did to a very high standard. They left everything looking clean and tidy as they went. They even added a few touches which improved the overall look of the job which were above and beyond what we asked for. Very happy and will recommend and use them again myself in the future should we need anything else done. These guys are what I describe as salt of the earth no airs and graces what you see is what you get a good honest quote hard work punctual clean and friendly. I would have no problem recommending them. Well what can I say, I was amazed, the project went really smoothly, the boys cleaned up each night and as they went along, excellent value for money and great service. HIGHLY RECOMMEND!! 10/10. 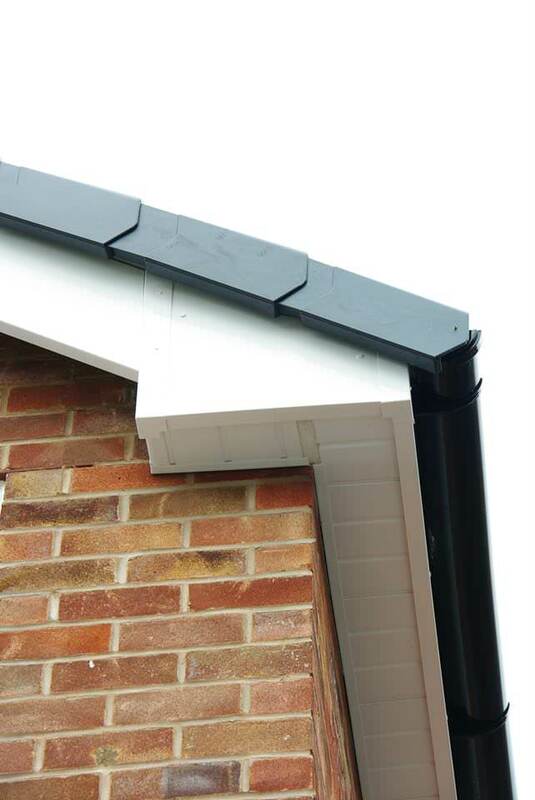 After seeing M&A doing a really good job on a house near where we live, I decided to approach them and ask if they could quote me on fascias, soffits and guttering for my own house. Within three days they came and gave us a quote and from this first meeting it was clear to see how committed and passionate they were about their work. We were really happy with the quote as it was the most reasonable we had received and so decided to go ahead. We never felt under any obligation or were pestered from receiving the quote up to contacting them sometime after, something which has been an issue for us in the past. Once everything had been agreed, they came back to see us to fully explain the procedure of the job, showing us materials that they would be using, along with pictures and videos from their website, all of which we thought were fantastic! It goes without saying that we are more than impressed with the finished job and Michael and Ashley really went out of their way to ensure we were happy. As our conservatory roof had a leak, we also asked if they could check it for us. They looked and said because it was only a small job they had repaired it for free which we couldn’t believe and are really grateful for. Michael and Ashley are two of the most loyal and trustworthy workmen we have ever met. It is not just anyone I would give a key to my house whilst I was at work for them to access electrical points and make themselves a cup of tea, but I trusted them 100%. We highly recommend M&A to everyone as they are professional, reliable and extremely friendly. We can’t fault anything about them and will definitely be approaching them again if we need work doing in the future. 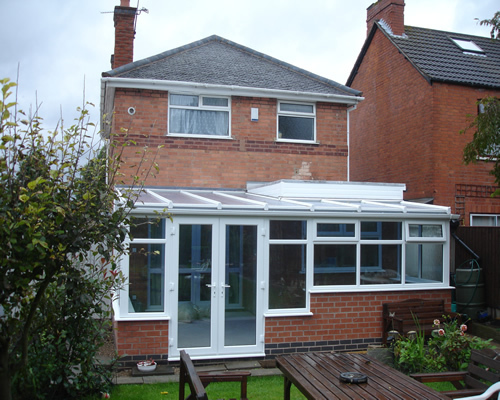 We even have in fact already asked them to give us a quote for a porch and canopy because we are so impressed! Highly recommended. What a team! Michael and Ashley have just finished building a stunning garden studio for us and we could not be happier with the result. They provided professional guidance and helpful advice during the planning stages; listening carefully to our requirements and suggesting thoughtful, practical additions. Throughout the construction phase both men were friendly, polite and extremely hard working. They worked unobtrusively and were respectful of our newly laid lawn. We have future projects planned for our home and won’t hesitate to employ Michael and Ashley again. Great job lads! Thank you and happy Christmas. Another great job from M&A Home Improvements. thank you so much cannot rate your company enough so skilled clean and efficient. Absolutely love the french doors on the garage and the rest of the work such nice people you don’t feel at all pressured and they talk you through every aspect of the work they do. Am very impressed and as stated before cannot rate them enough. From Linda king and family. Had UPVC windows and door fitted 2014, was given the quote & not at all pressurised in anyway to purchase , the quote given was a very good price & after a few more quotes decided to let them do the work. From the day they started the work was always on time, polite and always tidied up after them, they did not rush their work and worked to a high standard, also all materials were to a high spec, always asked if I was happy with how things were looking, I would defiantly have them again and would recommend to anyone. Thanks Michael and Ashley. 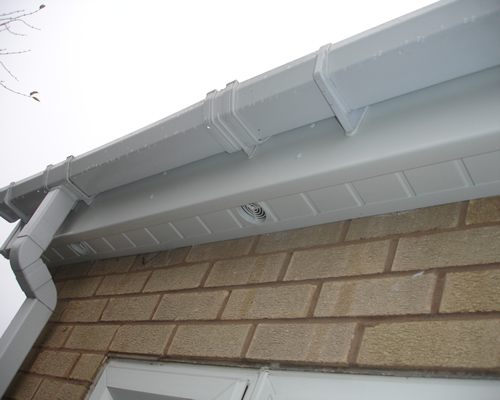 I have recently had my fascias, garage doors, garage roof and back door overhauled and I am overjoyed. So much so that I have booked M&A Home Improvements to fit a utility and bathroom and I cannot wait. They are brilliant and you receive a family approach to workmanship. I cannot recommend the Company enough. Once again we have used these guys to do some work on our house. So far they have put in a new front door, took down our old concrete guttering and replaced it with facias, soffits and guttering. And today they have put in an RSJ and plastered where two rooms have been knocked into one. They are great guys who take pride in their work, which is excellent, and are clean, tidy, and are prompt. I would highly recommend them. 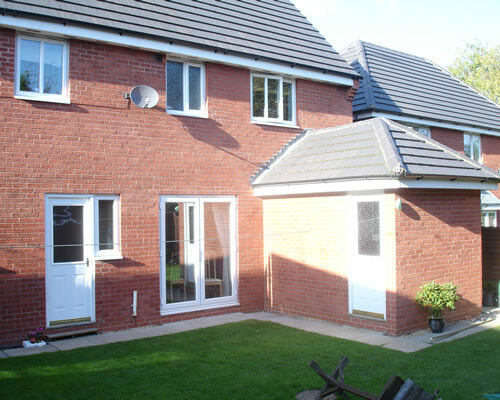 New patio doors fitted on Saturday – very professional service from start to finish and quality of doors is excellent. Have asked M&A to quote for some further work in the house and I am sure that they will give an excellent service again. Would highly recommend. I was very happy with the service I received – the new patio doors/new door look very smart and there were no issues at all from beginning to end. I would definitely use M&A again in the future. Very impressed with the standard of work and the speed everything was carried out. Michael and Ashley are a very friendly brother duo and make you feel relaxed and confident with their ability and professionalism. I would recommend them as a first choice for any home improvements and advice. I am very happy with the work done by the two brothers. More importantly, my wife is happy also. 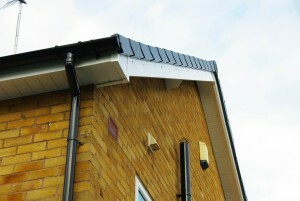 We had some new fascias and guttering installed at our home. Very friendly, competitive and professional service received from quotation to clean up afterward. They had the right balance in terms of not being pushy, which was a refreshing change. Since they have completed we have had a quote on mum’s house and will be booking them for our next install very shortly. Cannot recommend them highly enough. Thanks again gents. Andrew James Bettina Close. After buying our first home together, we decided that we needed a full set of windows and doors. 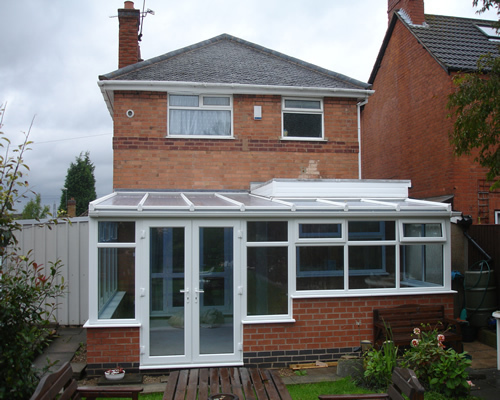 After many quotes from various window companies within the area, we settled on M and A home improvements. Not only did they blow the other companies out of water with price; their knowledge and know-how is second to none. These happy chappies mean what they say. They are not salesmen they are their to provide a service. They made us feel comfortable and happy with their non pushy attitudes and polite presence. As we were going round the house sorting designs they constantly ask what you are after and give other design ideas to make sure you get what you want as a customer. These lads came with a 100% positive attitude and gave 110% at the job. I’m so pleased with the two composite exterior doors fitted by M & A Home Improvements. They have exceeded my expectations and they are the envy of all my neighbours. The whole process from quotation to fitting was focused on the customer’s needs and Michael and Ashley went out of their way to find solutions to achieve the look I wanted for the two doors. Polite, friendly and with a no pressure approach they were very patient and gave me time to consider all the options, completely professional at all times. Just had a front door fitted by this pair, brilliant job. They made very little mess, and what mess they did make they cleaned up. Very polite, careful and efficient workers. 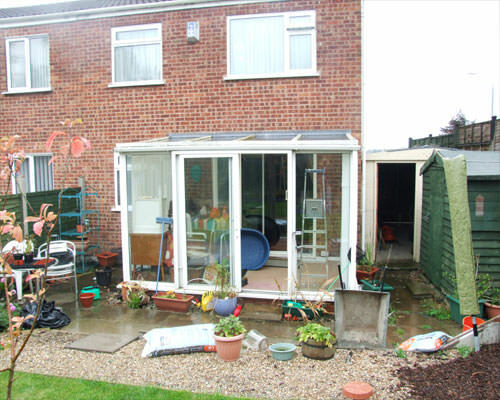 From our initial meeting to plan the removal of our old wooden conservatory to be replaced with a new white UPVC we were totally impressed with the advice and professionalism of Michael and Ashley. The work now completed my husband and I are delighted with the result. 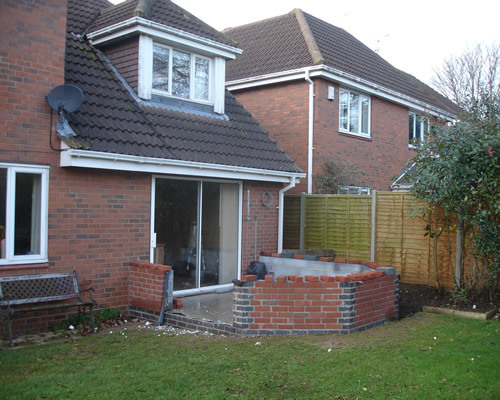 We would not hesitate to recommend M & A Home Improvements. The installation proved a fantastic fit and finish, and the whole area left clean and tidy. So a huge thank you to Michael and Ashley. HIGHLY RECOMMENDED. 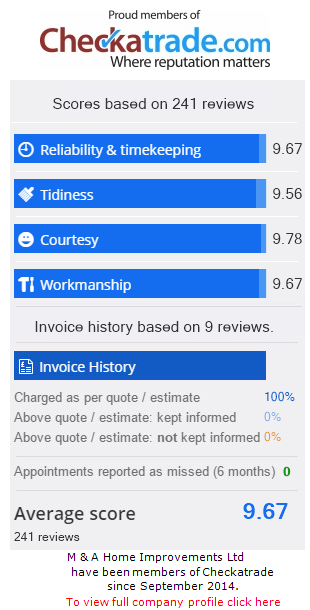 Those reading this review are no doubt considering using MA Home Improvements whether it is for window replacements, a composite door, an extension or conversion, or perhaps like us considering having a conservatory/orangery built. We looked at several companies and of course received various quotes. Our initial enquiry with MA Home Improvements was met with efficiency and professionalism and when we first met with Michael and Ashley we knew instantly that they were both genuine and passionate about their work. 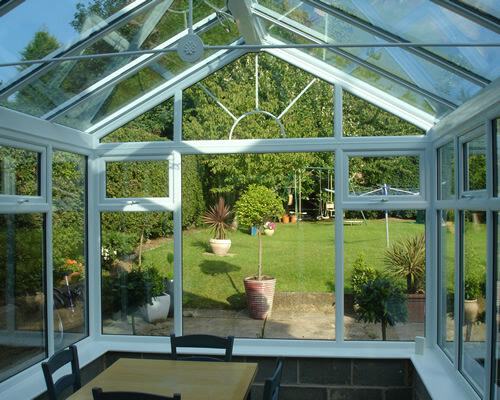 They discussed in detail the pros and cons of having an orangery versus a conservatory. 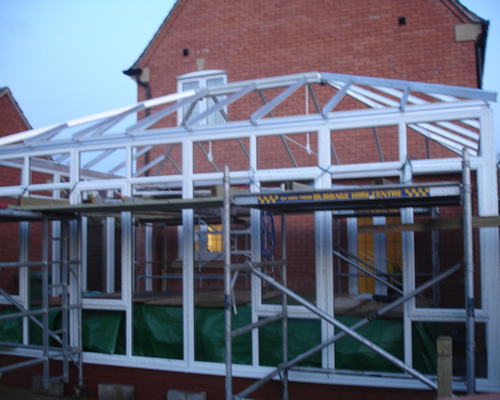 We decided on having a bespoke orangery, albeit £2k to £3k more than a conservatory, but we would have an additional room that we could use all year round rather than just 7 to 8 months a year…if we were lucky with the British weather. We now have a superb Bespoke Orangery built by MA Home Improvements and we are absolutely delighted with every aspect. We were so pleased with the workmanship that we have now engaged MA Home Improvements to convert the study to a bedroom and cloakroom to a shower room. A huge thank you to MA Home Improvements and especially to Michael and Ashley…Happy Days!! Peter & Dawn Adams. 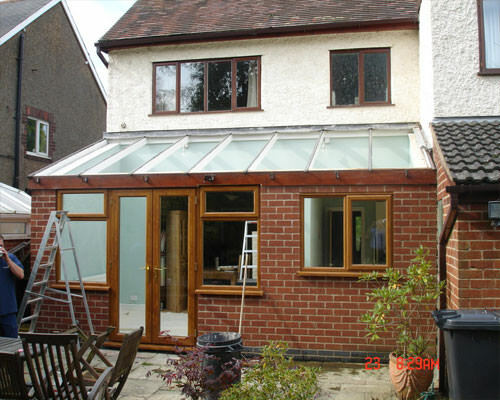 So, these chaps can’t spell but they sure do work hard They have done a fantastic job – my conservatory looks fab. They were professional throughout the whole process and cleaned up afterwards. Very pleased all round and delighted to recommend them. As they would say, “Happy days”. Michael and Ashley – M & A Home Improvements are polite, tidy and courteous workers who did a very neat job on my landing window. They appropriately consulted with me during the installation to ensure everything was exactly as I wanted. They also responded to my informing them about where the old window leaked and did some additional brickwork pointing in that vicinity. Not least they explain their product very well are meticulous with their paperwork and the Certass guarantees arrived exactly as they said they would. 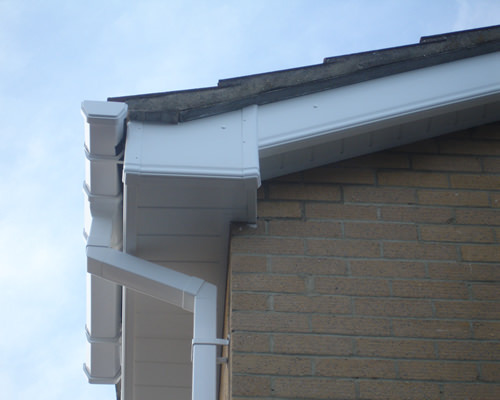 I asked them to quote on a soffit and guttering job for me which they did will be doing that job and others for me in the near future. Michael and Ashley have fitted 13 windows and 2 doors at our property, we found them very professional from the onset, not only was their quote very competitive, the lads were very punctual, reliable and nothing was too much trouble for them. 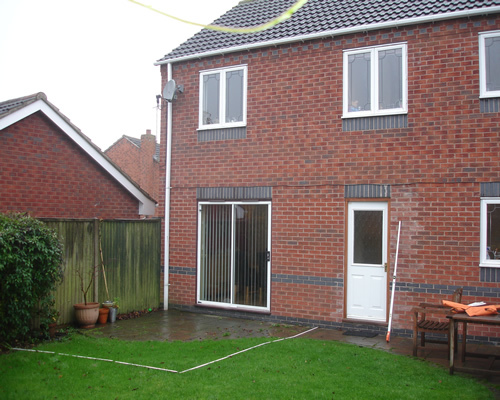 We were so pleased with the windows we had them back to do a garage conversion. Again after a few quotes they came in better and of course we already knew their workmanship was to a very high standard. They went through everything with us as it was being done flooring, insulation etc. which was all above regulations but standard for them. Again another great job really pleased and would recommend these lads to anyone as when we have anymore work done we will definitely be having them back. “HAPPY DAYS” Gareth and Annette Rowe. Michael & Ashley are two of the best workmen to have entered my property in the last two years of continual house improvement. 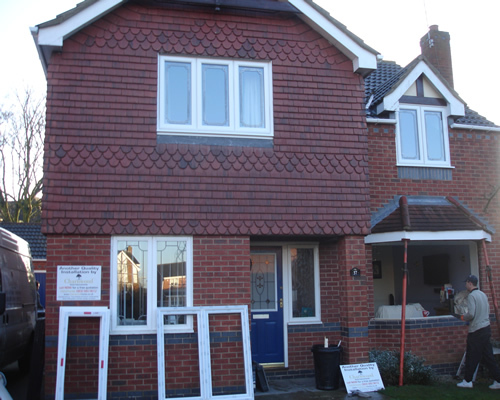 From the beginning of quotation stage to completion of 8 windows and 2 doors any problems were dealt with to satisfaction and the work of a very high standard. The quote was the lowest of 4/5 quotes received but the initial conversation was convincing enough to have more than faith that the supply and fittings would be of a high standard which I can confirm totally that this is true “Happy Days”. The quality and advice given to such an extent that I have asked questions and received a running commentary of why, where and what and left in doubt that the 10 year warranty will not be activated which in itself is a bonus. 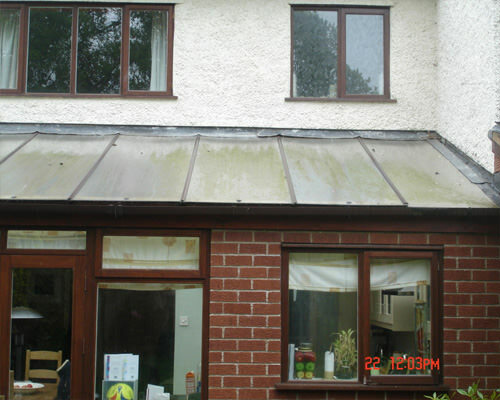 Thank you, for the professional workmanship on my new conservatory roof and windows. My wife and I are very pleased with the finished results and we now have a conservatory that can be used all year round. I would recommend your company to anyone looking for a professional company that gives value for money and quality craftsmanship, Thank you. M A Home Improvements, Michael and Ashley, have recently fitted 13 windows and 2 doors to my house. From the initial contact they were extremely professional, friendly and helpful. They came to my house and showed me samples, made suggestions when I asked for them, and answered all my questions. There is no hard salesmen sell here, these two guys are fitters with a wealth of experience, which is refreshing to find, they came out to quote, emailed me my quote, there was no constant ringing me, which I had experienced with a bigger company, they just sent my quote and left me to decide. I had several other quotes and none of the other company’s came near to the professionalism of Michael and Ashley. When they came to do my fitting they were polite, always on time, and the standard of their work was excellent, their cheerful manner and friendliness was a pleasure, nothing was too much trouble even answering any silly questions I may have had. They made improvements like lowering both my front and back doors, and fitting me a wider front door, and the quality of their products is excellent. I hadn’t been able to do any improvements to my home for a long time due to money, but my mother recently passed away and left me some money, and it was very important to me that I spent that money wisely, I am only sad that she is unable to see what a excellent job Michael and Ashley have done, and the difference it has made to my home. 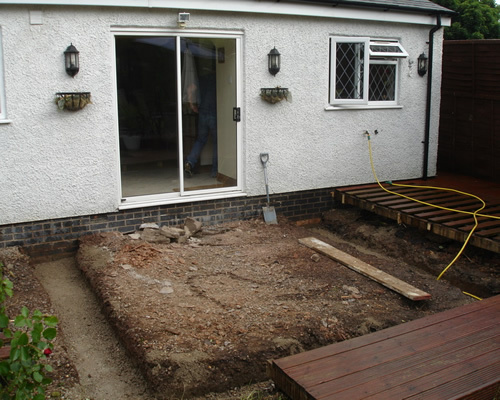 I have no hesitation in recommending Michael and Ashley, I only have one ageing patio to replace now and soon as I have saved up, I’ll definitely be contacting them again, I would never use anyone else. These two guys may just look like normal guys, but the standard of their work is much higher than normal. Oh I must mention that they do like their Tea and Coffee, which I was happy to provide, and I probably should have mentioned this before but the quote was extremely competitive. I have left my email address below if anyone wants to ask about the service I received. Thanks Michael and Ashley for an excellent job. My girlfriend recently had new windows and doors installed by M&A. We were impressed by their work ethic and professional attitude and attention to detail. From start to finish Michael and Ashley explained every detail and every question was answered, and the pair with their happy cheerful personalities made the work being carried out free from stress or worry. The lads carried out their work to an extremely high standard. 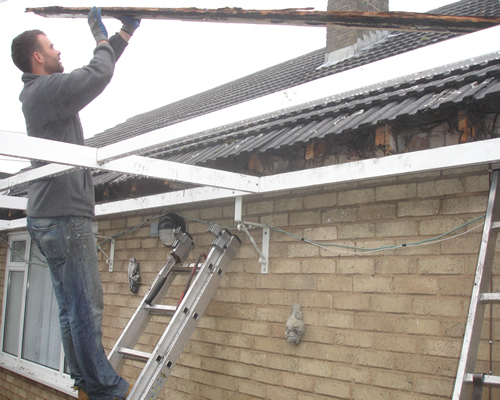 It is good to see true tradesmen doing what they do to such a high standard. Would I recommend them? in a heart beat. After initial meeting and measure we were given a quote very quickly. Both Michael and Ashley were very informative and showed us very good examples of what was on offer. This made the whole process very easy, within a couple of days we had made a decision, however; before any final commitment we were given a further five days to ensure we were making the right decision on products, but more importantly on cost. With several quotes on the table we eventually decided to go with M&A as we believed totally in what they had showed us, and of course the quote was within our budget and competitive when compared against the others. 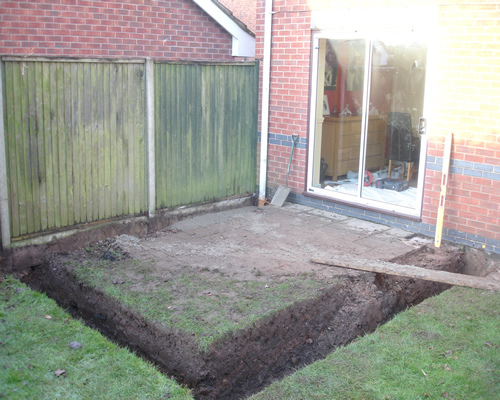 Work started and from the off Michael and Ashley were polite, punctual, reliable and very hard working. Nothing was ever too much trouble. 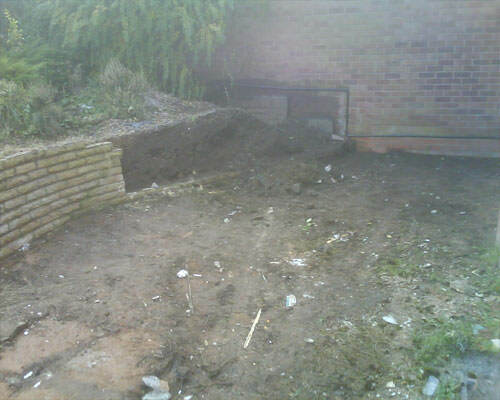 In fact we asked them to complete additional works whilst on site and they obliged without even thinking about it. We are absolutely delighted with our new windows and door which were installed to a very high standard and finish, right down to the last detail. Michael and Ashley deserve every success, if ever we need additional works then it will be Michael and Ashley that get the call. A very well pleased & satisfied customer. We got left some money from my grandad who passed sadly passed away. We were told that the money need to be spent on our house. We decided to look into replacing our windows and doors depending very much on the cost. So I went out and got as many quotes as I possibly could, one of which was M&A Home Improvements – (the reason being that where I park my car there was a really smart looking house with a board outside with their number on (note because I parked my car there I had seen them transform this house from a very badly kept home to and what looked like amazing home). So I gave them a ring we had a lot of people to our home to give us quotes including M&A. 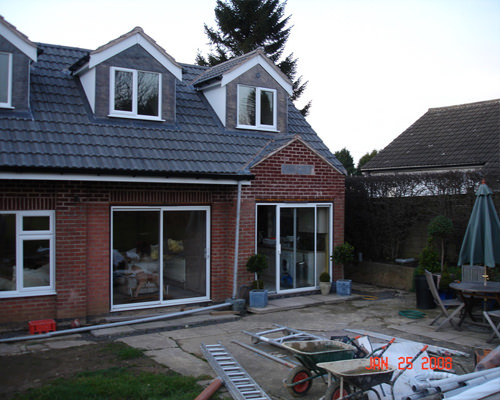 What impressed us from the outset was their attitude for their work as well as coming back with the best quote – note: I made a decision to go with M&A – the new windows are amazing (not that I’m knocking style because they could well be as good poss) anyway…. I’m now sitting here at my computer with Micheal and Ashley just finishing up what can I say one word only WOW! The boys have totaly transformed our home. Nothing was too much trouble on the very first day they started by doing the kitchen window they discovered that the sink under the window was not secure (something that had been on my todo list for over 5 years). Micheal asked if I minded if he could fix it for us at no extra charge – WOW!! AMAZING my partner tina was so shocked when she came to do the washing up that she had to have a sit down for 10 mins (joke) from then until now they gave really gone beyond anything we could ever had wish for from hanging a door for free (another thing on my to do list) to putting up a lamp outside – fixing the roof tiles that were damaged in the storm last year they have re-plastered under the window to at no cost WOW. We feel that Micheal and Ashley are now friends for life our home looks AMAZING they even managed to make our door wider – things that we would never have thought about. AMAZING if you need anything doing for your home and you are reading this these 2 boys – may look a little rough around the edges but you can rest assured from us that they are the most amazing competent, professional, helpful, nothing is too much trouble type guys you will ever meet. We recommend Micheal and Ashley with all our hearts and all our thanks if we ever need anything else doing so long as they are still breathing we will 1 million % be using them. All I can add is a MASSIVE MASSIVE MASSIVE MASSIVE THANK YOU to the boys for all they have done p.s. the windows are amazing from the handles to the a rated and the black trim – they have over 25 years behind them they know what customers want and they give it I would like to think that I could never get anything close to this for the money amazing and WOW!! THANK YOU AGAIN PAUL AND TINA (and GRANDAD). Done a very good job on new windows & door, highly recommend. M & A offered both a friendly and competitive quote for us. 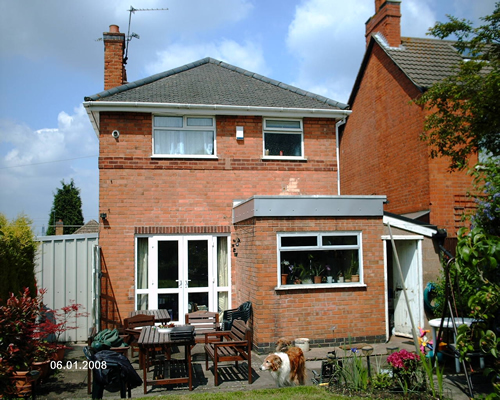 They were very efficient and undertook the work in very good time to co-ordinate with other work being undertaken in our property. The product was explained and the room was left clean and tidy. All round great service that I would definitely recommend to friends and family. I’ve had windows and a front door fitted by M&A Home Improvements, and I’ve been delighted with the standard of both the products and the workmanship. All the options were explained clearly without feeling pushed into buying something I didn’t want. We strongly recommend M&A Home Improvements. Michael and Ashley are polite, punctual, reliable and very hard working. Nothing is ever too much trouble. They have years of experience and expertise and were able to offer us lots of practical, sound advice on our choice of new windows and doors. 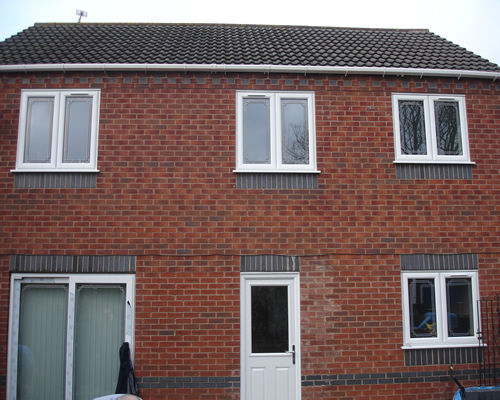 We are thrilled with our new windows and doors which were installed to a very high standard and finish. Michael and Ashley deserve every success with business as they offer great value for money, quality and excellent customer care. I would like to thank you very much for the installation of the new windows and front door, they have really transformed our property. The price quotes was very good value, saved us a lot more money than other quotes. Ashley and Michael, I found to be very polite, cleaned up after themselves and got on with the job. Just keep them in tea! They arrived on time too. I would highly recommend M&A home Improvements they do a very good job at a very good price. They do not put any pressure on you what so ever when they quote you and will advise in any way they can. Thank you – one very happy customer! The initial meeting with Michael and Ashley gave me confidence that the work would be of an excellent standard. I was not proved wrong and extremely pleased with the finished job. I was able to leave the keys for them to install the windows whilst I was at work. In the trust an knowledge that all would be well. Robert Eyley – Always punctual, good quote, efficient, polite, and tidied up like they’d never been here, couldn’t ask for any more. Michaela Eyley – yes, very happy with the job. Nice and bright and warmer in the porch in Coventry. 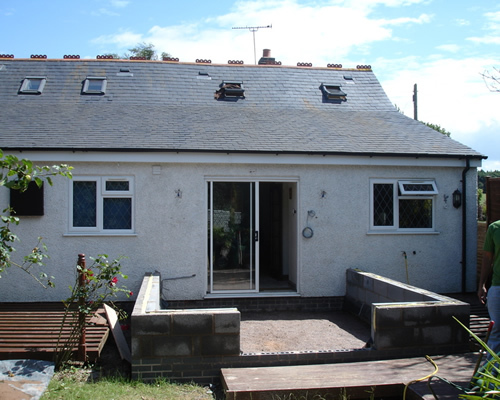 M & A Home Improvements carried out a garage conversion on our property. They offer a quality service at very competitive rates. Michael & Ashley carried out the work to a very high standard ensuring that at the end of every day things were left clean & tidy. The finished product looked superb and I would highly recommend them to anyone wanting building work or windows. 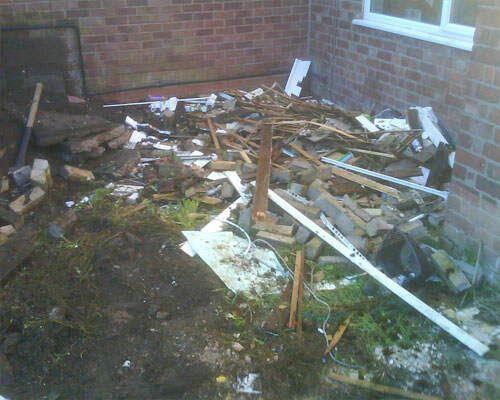 Many thanks M & A Home Improvements for carrying out the conversion with the minimum of fuss and disruption. Thank you both for a wonderful job. Amazing how new windows and doors totally transform the place. You both did a tremendous job your efficient quick tidy extremely good value for money and both very pleasant people to be with. Would gladly recommend you to anyone and as i said before a tremendous job very well done. Dear Michael and Ashley Re: Replacement Soffits, Facias and replacement UPVC Windows and installation of Composite Doors to the above property. We would like to take this opportunity to thank you for the above works carried out over the last 2 weeks and completed yesterday – 22 January 2014. We would like to advise any potential clients that the work was carried out to the time scales stipulated and on budget as provided in the quote. We would like to confirm that we are delighted with the completed project which is to an exceptionally high standard, Michael and Ashley went out of their way to keep us advised of the project schedule throughout and they were able to provide knowledgeable answers to any queries that we had. We are happy to confirm that as you can see from their web site, the feature concerning our property is 100% accurate and the finished results are beautiful. 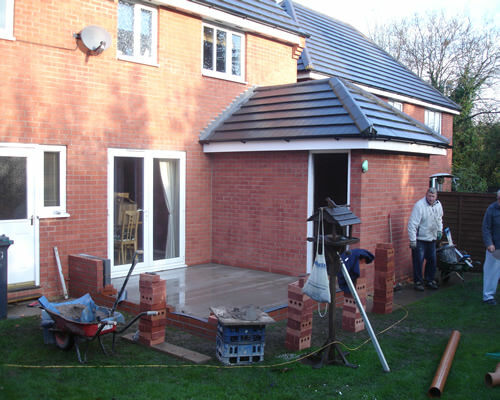 The team tidied the site after each visit, arrived promptly on subsequent days and were always considerate and polite. We would be delighted to recommend them without hesitation and we wish the Company well for the future. 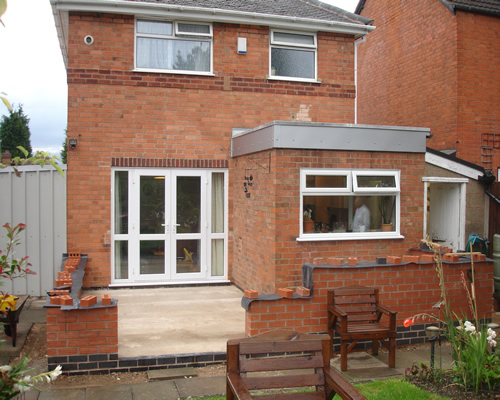 We used M & A Home Improvements to repaint all external window frames, doors, ledges and soffits. It was looking in quite a sorry state! They turned up on day one, sanded down everything as the paint was flaking and peeling away in places, especially at the front of the house which gets the sun for most of the day. By early afternoon of day two they had completed the work, and it looked 10 times better. I would recommend them to anyone; they are friendly, explained the work involved and agreed a very competitive cost. Rich & Paula, Warwick. Thank you so much for my conservatory, it was completed just in time for Christmas lunch, even though the plaster was still drying, everyone has commented on how fantastic my conservatory has changed my house. The Glass Roof looks as you said it would, Please say a big thank you to Ashley and Michael for a professional clean installation, I would recommend M&A Improvements to anybody interested in the product. Thank You to everybody involved in our project, from Michael & Ashley at the design stage, catering for our requirements to house a swimming pool inside the conservatory and the challenges that it bought with the organising and the planning permission etc….. A Special Thank You to Michael and Ashley who constructed the conservatory, they were friendly and professional and allowed my husband to have fun helping them put the conservatory together, also to thank them for coming in on the Saturday to complete the job before the rain came. Regards Elizabeth Carr. 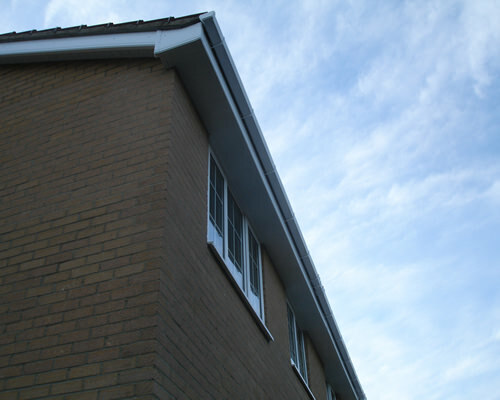 In 2013 I had this company to replace my windows at the front of the house they were the best company we have ever had.Later in the year they came back to do our facias, soffits and guttering. they came at the times they told us and there was no loud music or bad language and they cleaned up after them every day. We have just had them back to clean the gutter. We were so pleased with them that we have recommended them to other people including my brother who was also pleased with their work. I would highly recommend them to anyone especially senior citizens like ourselves as their conscientious behaviour is exceptional. Well done to both of you. 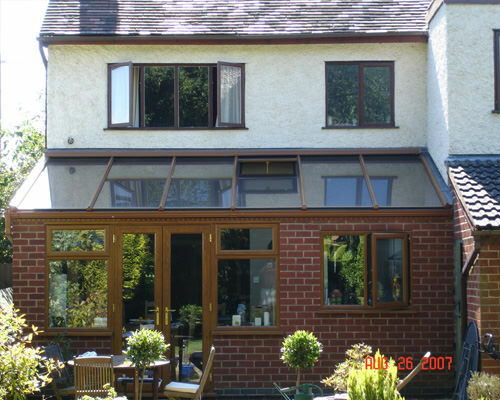 I am absolutely Delighted with the UPVC windows in light oak that I had fitted to my Victorian double-bay house in Coventry (tall 4 section bays on both the ground and 1st floors plus a box room window). 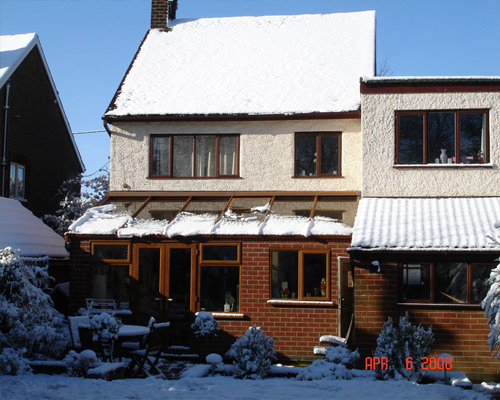 Despite being a very reasonable price, the standard of windows is very high – they let in a lot more light than the original wooden windows and provide a lot more sound insulation – and are of a much higher standard than other UPVC windows I have had fitted somewhere in the house. I have had many admiring comments from neighbours too. The Team of 2 fitters who did the job in 2 days were very professional and helpful, I have no reservation in recommending M&A Improvements for your home improvements. 3. The sales person was genuine and did not try to persuade us with any other tactics than the genuine product. We are really pleased with the results, the window fitters were excellent, they were pleasant and polite, worked quickly and efficiently, and ensured they cleaned up after themselves carefully. 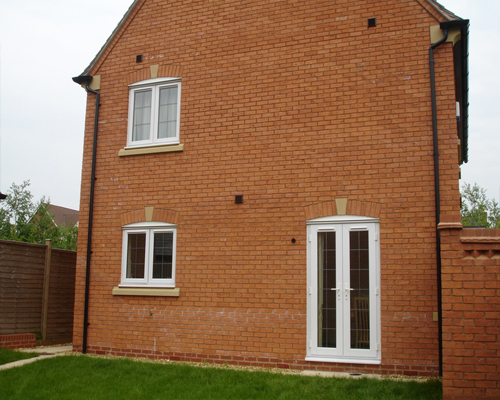 The windows and doors are beautiful and fitted to a high standard. We have had no end of comments from people saying how nice they are, even the window cleaner has admired them! I highly recommend M&A Home Improvements and would definitely use them again should the need arrive. Dear M&A Improvements, I’m very impressed with the door and service, ordering the door was easy with no pushy sales, your fitting team was 110% they turned up on time and did a very good job with no mess or damage. The new front door has transformed the house, its made the house warm and secure. I will be having your company back to do more work. I would recommend M&A Home Improvements all day. 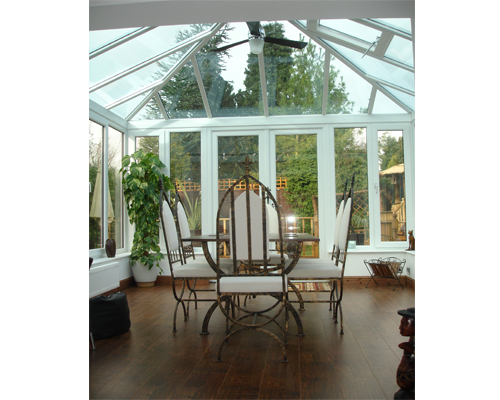 Dear M&A Improvements, We are pleased with our M&A Conservatory, we did have a couple of issues with some of the finishing workmanship but Affordable were very supportive and helpful and arranged to have plastering re-done and checks completed quickly. Overall the conservatory is a great addition to our home. Dear M&A Improvements, We decided to go with you because they were recommended when we originally went to view a Window Sample! The quality of the work was very high and when there was a mishap from a casual labourer brought in from outside, this was put right immediately. I cannot praise the fitters and brickies highly enough. They worked conscientiously and clean and I would recommend them to family and friends. When we can afford a Porch, We will be going back to M&A Home Improvements. Dear M&A Home, Initially we chose M&A Home because we liked their approach towards the work we wanted completed, it seemed nothing was too much trouble and the price was also very competitive. The salesman had a good understanding of all aspects of the business and work was able to start almost immediately. From the beginning of the construction to the last finishing touched the workmen were courteous, helpful, and tidy, arriving to site each day at the times they promised. I cannot recall one occasion when I had to wait in for a M&A Employee that did not turn up. 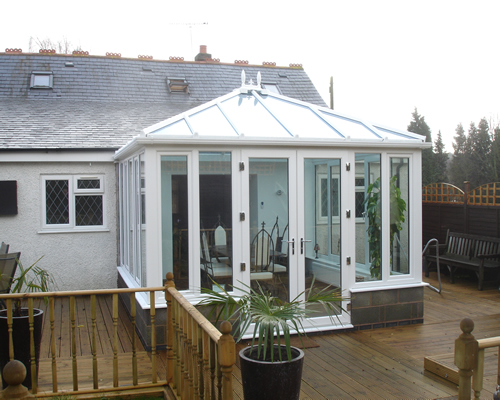 The work that was completed was done to a very high standard, and we are very pleased with the finished conservatory. We would not hesitate to recommend M&A Home, they are a company that seems to consider customer service and quality very important, which in our experience makes a refreshing change. 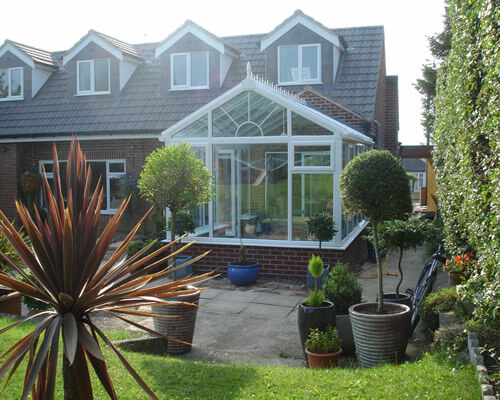 We have recently had a conservatory fitted for us by M&A Home Improvements which has really changed our lives. It is not just about the much needed added space, but what really made a difference was the fast and efficient way our order was dealt with and the friendly service we received which in today’s climate is almost none existent. 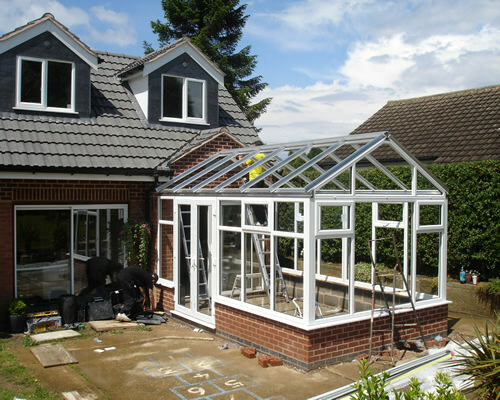 We had tried to have our conservatory made by a larger company in the midlands, and the service we received were shocking which led us to cancel, lucky for us we found M&A Home Improvements who agreed to do the job. 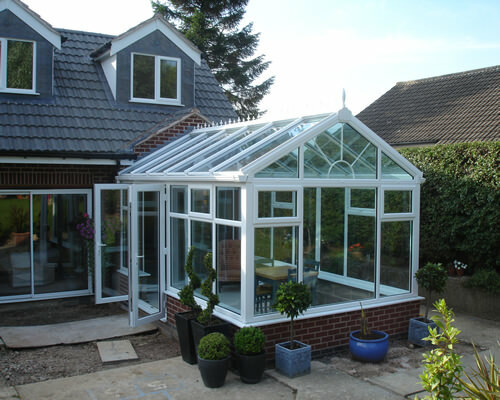 The conservatory is not just a conservatory but an extension of our home and the quality is second to none. All the little touches we wanted like chrome handles, to match the rest of the house were no trouble at all. I would recommend M&A Home Improvements to any one and I hope that they find the same service we did. Thanks again M&A Home Improvements you really have made a difference. We just wanted to drop you a quick line to tell you how delighted we are with our new Conservatory and Garage Conversion and your efforts to get it completed in time for Christmas were appreciated. 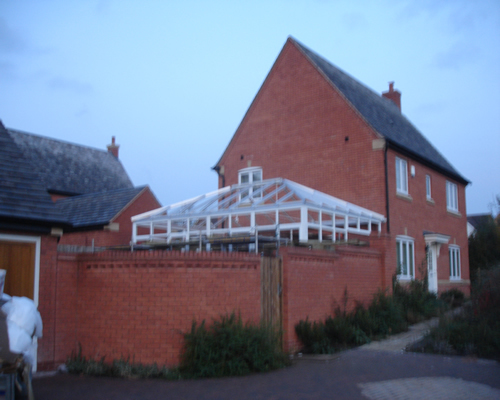 Your workforce was excellent, very courteous and tidy and we were pleased with how the project was managed, specifically the way we were kept informed of the build and speed in which the errors in the roof glass were corrected. We have already recommended you to our neighbours who have received a quote from yourselves. The quality of the installation and finish has been much admired by all. Again, many thanks and best wishes to you and your team. Thank You for the work done so far, we are very pleased and the fitters have ben faultless, the preperation and the tidyness of the team were very much appreciated and i would recommend to anyone intrested in M&A products, we were kept upto date with all of the progress and are now enjoying our conservatory. Thanks to all at M&A for the hard work and commitment. 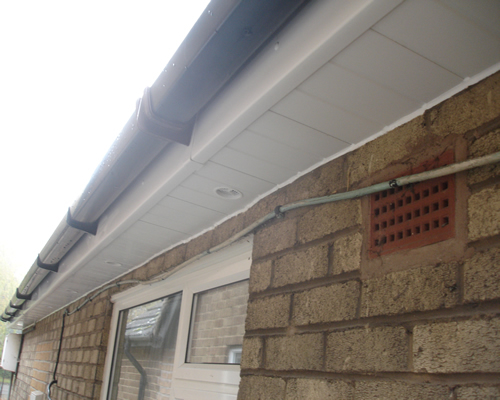 As per telephone conversation, i am writing to confirm that i was very satisfied with the installation. The installers were very courteous and were happy to answer any questions i had. i would have no hesitation in recommending M&A Home to others. 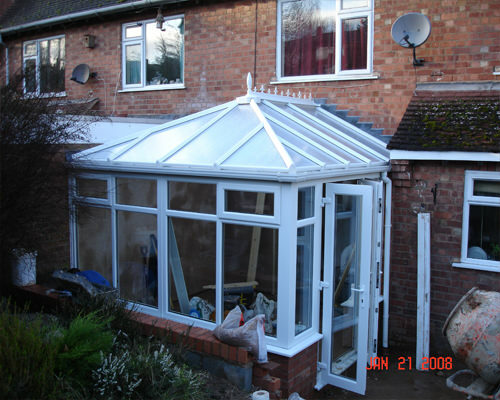 Thank You for all the excellent work carried out on our conservatory. We are very pleased and will certainly recommend you to all our friends. A Big thank you to M&A for their warm and friendly service. Our conservatory has created the space we needed. Your installers were faultless, a big thank you Michael and Ashley for all their hard work. 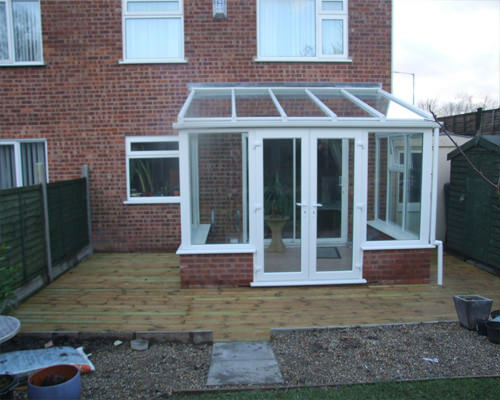 I Would like to say a big thank you for my new Conservatory and decking, i am very very pleased with the finished job. All the men working on the job were very pleasant and polite, i will show all my friends, and i would recommend your company to anyone. 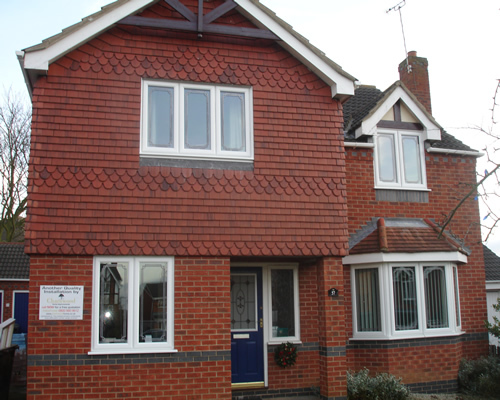 In 2013 I had this company to replace my windows at the front of the house they were the best company we have ever had.Later in the year they came back to do our fascias, soffits and gutterings. I would highly recommend them to anyone especially senior citizens like ourselves as their conscientious behaviour is exceptional. Well done to both of you. Check out our Checkatrade reviews here!